Tottenham are assessing the fitness of several players, including Serge Aurier, Kieran Trippier, Davinson Sanchez and Juan Foyth. Mousa Dembele and Victor Wanyama are certain absentees but Jan Vertonghen returns from a domestic ban. Burnley midfielders Steven Defour and Johann Berg Gudmundsson are both struggling for fitness. Defour has a calf problem and Gudmundsson was substituted last weekend because of a tight hamstring. Manager Sean Dyche has been struggling all week with sciatica but is expected to take his place in the dugout. @Wilsonfooty: Tottenham’s exceptional achievement in the Nou Camp should leave no-one in any doubt they are a force to reckoned with. To recover from such a terrible start to the game – let alone the group – speaks volumes. Imagine the feel-good factor had this game been the first in their new stadium – as was once briefly planned. Instead it’s another weary trudge across north London for those supporters for whom the novelty of playing at the national stadium has not completely worn off. Burnley’s own European campaign seems an age ago. They may well want to forget that had things worked out differently against Olympiakos in August, they would have hosted AC Milan on Thursday night. Tottenham manager Mauricio Pochettino: “It’s such an important game, it’s going to be a tough game because every three days to play is always tough but we need to try to find the way to approach the game in the best condition and be sure we’re going to fight to be ready to win. Burnley manager Sean Dyche: “Tottenham are having a fine start to the season and they had a great result the other night. I really like the way they go about their business. Their manager plays direct football but in a passing style, if they can get out quickly then they do. They’re effective. They don’t keep the ball for the sake of it. Burnley managed a draw with Spurs at Wembley last year but I don’t see Sean Dyche’s side getting anything this time. Tottenham are unbeaten in eight matches in all competitions against Burnley, winning five of them. The Clarets’ sole Premier League win against Spurs was 4-2 at home in May 2010. Burnley’s most recent league win at Tottenham came in October 1974 – however, they did win 4-1 in an away League Cup quarter-final in 1983. Tottenham’s tally of 36 points from 16 games represents their best start to a Premier League campaign. They last had a better top-flight record at this stage of a season in 1960-61. Spurs have won nine of their last 11 league fixtures. 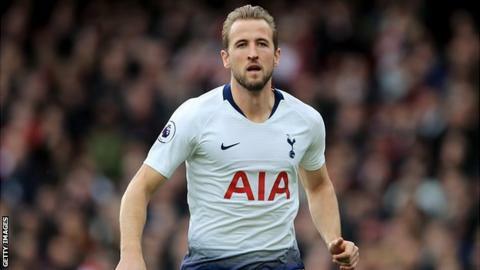 However, Spurs have lost two of their last five league fixtures at Wembley – they were only beaten twice at home in the previous two seasons combined. They are on a club record run of 20 league matches without a draw since a 1-1 stalemate at Brighton in April. Harry Kane has scored eight goals in his last four Premier League starts in December. Burnley’s victory last weekend ended their eight-game winless run, which included six defeats. The Clarets have earned just six points from their last 10 away matches. Sean Dyche’s side have conceded 32 league goals this season; only Fulham, with 40, have a worse defensive record. Burnley have conceded a joint league-high seven goals in the final 10 minutes, equal with Fulham. They have gone 59 league matches without being awarded a penalty.